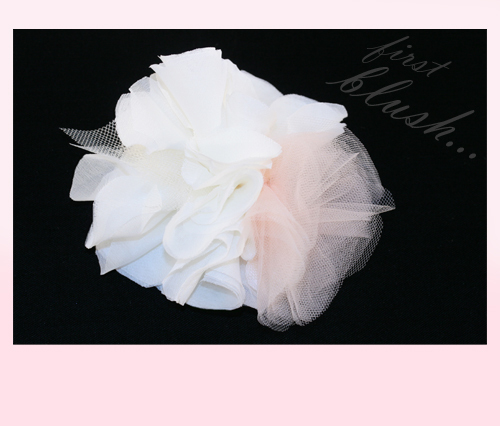 Our newest fabric flower… the FIRST BLUSH flower comb. Hand made of layers and layers of silk, and a tuft of the softest blush tulle. Tuck in a side chignon, or request a brooch pin and wear as a corsage or on a sash at the waist. Perfect for the first day of summer.